New Zealand Rugby together with the Japan Rugby Football Union have confirmed that the third test between New Zealand and Australia this year will be played at Nissan Stadium, Yokohama, on Saturday October 27. It will be the second Bledisloe Cup match to be held in Japan, with the two teams playing at the National Stadium, Tokyo, in 2009. The All Blacks won 32-19 on that occasion. "The last match in 2009 was a fantastic event but this year's test at the 72,000-seat stadium in Yokohama will be at another level," NZR chief executive Steve Tew said. "The All Blacks have huge support in Japan so the Bledisloe Cup test will be important for the team as we build support ahead of Rugby World Cup 2019." With the All Blacks taking on Japan the following weekend at Tokyo's at Ajinomoto Stadium, the Bledisloe Cup clash gives Steve Hansen's squad a chance to experience playing at another key World Cup venue ahead of their quest for three-straight global titles. 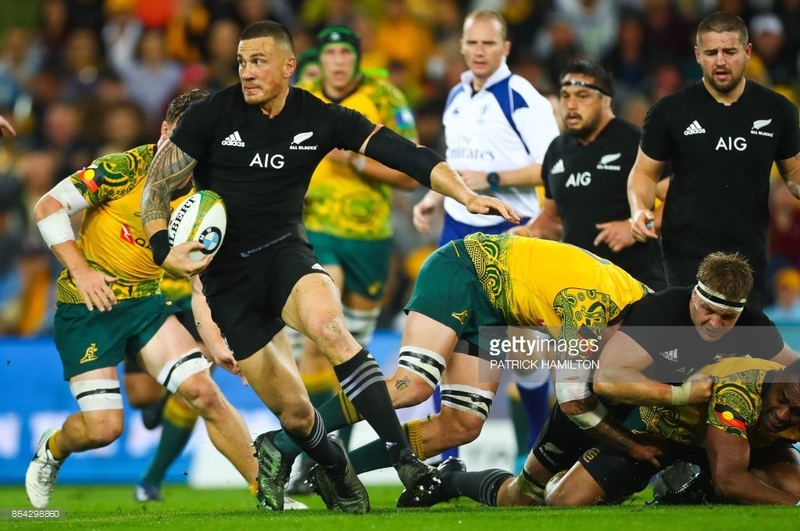 The All Blacks play their opening match of the 2019 tournament against South Africa in Yokohama (which is also the venue for the semifinals and final) and their match against an African qualifier in Tokyo. "It will be great for the team to prepare in two of the Rugby World Cup cities and play at the same venues," said Hansen, who is currently in Japan on a World Cup-planning visit. "As well as preparing for a huge Bledisloe Cup test and another important test against Japan, it'll also give the team a chance to have a really good 'dummy run' of the facilities, and experience the unique Japanese culture. We look forward to again being hosted by the Japanese later in the year." Rugby Australia CEO Raelene Castle had a similar view as the Wallabies look to get their hands on the famous trans-Tasman trophy for the first time since 2002. "We are looking forward to returning to Japan in October for what will be an incredible event, with one of the greatest rivalries in our game being fought out a year before the same venue hosts the Rugby World Cup Final," Castle said. The first Bledisloe Cup test will be played in Sydney on August 18, with the return match a week later at Eden Park. Ticketing details and kick-off time for the Yokohama Bledisloe Cup test as well as the All Blacks vs Japan test, will be announced by the JRFU in due course. "It gives us great pleasure to host the Bledisloe Cup, a long-established and classic rugby match, for the second time in this country, in the year before the Rugby World Cup 2019, at the same venue as the tournament's final," JRFU president Tadashi Okamura said. "We certainly look forward to two of the world rugby's leading teams moving their stage into Japan and showcasing another fierce, great battle. At the same time, it's our great hope that this match will build momentum towards Rugby World Cup 2019."